We are interested in taking over Hair Salons. All locations considered although preferences for central and eastern locations. We r interested in take over a chain of spa and aesthetic clinic businesses include the brands and all the outlets in Singapore. Beauty salon owners who have established customers and have been around for at least 3 years. Clean and good image store, have at least 3- 4 treatment rooms. Easily accessible by MRT and ground floor. We offer good attractive rate. 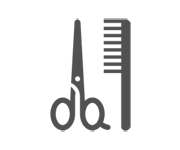 I am looking for a working partner to take over a hair salon in central area. Limited capital is required. Those who are experience in hair dressing are welcome. Fresh or recent Uni or poly graduates with no experience are welcome. I am from finance and was a Chartered Accountant and Chartered Financial Analyst. I also have internet business experience. I'm interested in investing into beauty salon business, open to the idea of buying in a portion or whole business. Looking for a licensed spa with ready staff . prefer near office or train stations.